Get fired up because this year, we're grilling! Whether your dad is a he-man or a foodie at heart, these recipes feature man's favorite appliance - the grill - and 6 manly ways to use it, for Dads and Grads alike! Even better, all of these recipes are gluten free, dairy free and so tasty you won't know the difference! Two favorites come together for this down and dirty BBQ appetizer. Sweet and tangy, a must-try for Father's Day! Hot 'n spicy, just the way Dad likes it. 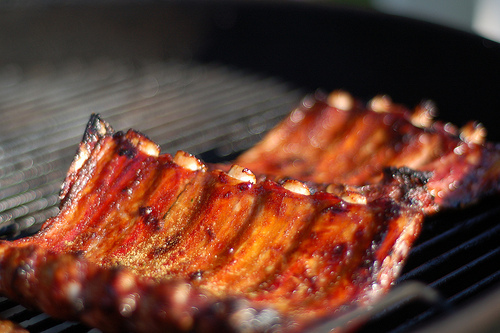 These ribs are smokin' hot and fall-off-the-bone tender! Boneless country-style ribs make for super easy cleanup and will leave Dad begging for leftovers. Not feeling Honey BBQ? Try this high-octane infusion instead!